There are times you wonder whether somebody is watching your every move online. You go to a website, look at a product, and leave. Suddenly, that product is chasing you around the internet. No matter where you go on the web, you seem to see ads for that same product. Is it a case of serendipity? No, it’s a case of retargeting (or remarketing, depending on who is using the term). And it is nowhere near as scary or intrusive as it first appears. Have no fear. Retargeting ads are not an example of Big Brother. They are actually a case of clever marketing with a high success rate. Although many people use the terms retargeting and remarketing interchangeably, Neil Patel believes that retargeting is a subset of remarketing. He sees remarketing as an umbrella term for marketing to the same prospect multiple times, whereas retargeting really is targeting online ads at the same traffic repeatedly. Neil believes that you can remarket in many ways, including traditional offline marketing. Where Should You Run Retargeting Ads? Retargeting is a form of online advertising that targets specific people. Usually, these individuals have already visited your website or are an existing contact on one of your database files. In some cases, they may have been to one of your competitor’s sites. There are two main types of retargeting: pixel-based and list-based. You will use pixel-based retargeting when you choose to redeploy material to people who have visited your site. You use list-based retargeting when you have a list of contact details for specific people. When that person goes to a website that works with the same advertising network as yourself, it will give your ad priority. This has the effect of providing that visitor a constant reminder of their visit to your website. People come to your site for a variety of reasons, often at various different stages of the sales funnel. In some cases they are not even in the sales funnel – they may just be using your site for research purposes. Retargeted ads are useful for encouraging people who may be in the sales funnel, but won’t be ready to make a purchase until some date in the future. The retargeting ads act to keep you at the top of their mind, without annoying them so much that they actively avoid your product. Often you will have already collected contact information from people who have expressed some interest in your product. For example, you may have an opt-in email list on your website, or your sales staff may have entered potential leads into your firm’s CRM software. You are usually further through the sales funnel with these people compared to random people who merely visit your site. Depending on how you intend to create retargeting ads, you can often directly upload your existing contact databases. One problem you may encounter, though, is when people use different email addresses for different purposes. For example, they may have given you one email address, but use another one for their social accounts. If you are retargeting for awareness, you’re not expecting people to convert in any particular way – at this stage anyway. This is particularly relevant when using pixel-based retargeting focusing on people who have visited your site. You don’t know their intentions for visiting your site, so you can’t expect that they will almost be ready to buy your product. However, you want them to continue to remember your name so that when they are ready to convert sometime in the future, they will automatically think of your company and return. In this case, you will want your content to emphasize your brand. Don’t attempt to hard sell in your copy, as it is more likely to turn people away at this stage. In this example, SEMrush is merely making its expertise in SEO known. If you click on the ad, it takes you to the relevant blog post on the SEMrush website. There is no hard sell for SEMrush services, however. The ad simply establishes the SEMrush name in the user’s mind, and the blog post it links to educates the reader on the benefits of SEO. When you target for awareness you are most interested in impressions, social media engagement, and click-throughs. If your goal is to retarget for conversions, you are focusing on people who have already given some indication of interest in your product. Often, these people will have already given you their contact details, perhaps in return for a white paper or eBook on your site, or they might have signed up for your newsletter. You would also include people who your sales team may have already approached, collected details, and entered the data in your CRM. Another type of person to whom you would retarget for conversion would be somebody who has already attempted to buy something on your site but never completed the transaction. They clearly showed intent at one point to buy your product, but for some reason never completed the process. In these cases, your ads will be more direct and focused. These people clearly already know about you, so there is no need to provide them with awareness content. If possible, you want the copy you target at them to reflect the reason that they first came to your site. There would be little point, for instance, Amazon promoting romance novels to a teenage boy who nearly purchased an action movie from the site. Likewise, in most cases, there is little point using an ad that merely sends the user to a Home page. You want to send people to a relevant landing page, targeted at what interests them. SEMrush demonstrated this well as I researched this post. It noticed that I was looking for material relating to paid internet advertising (PPC). On the next page I visited that had a contract with Ads by Google, it displayed the following banner ad. 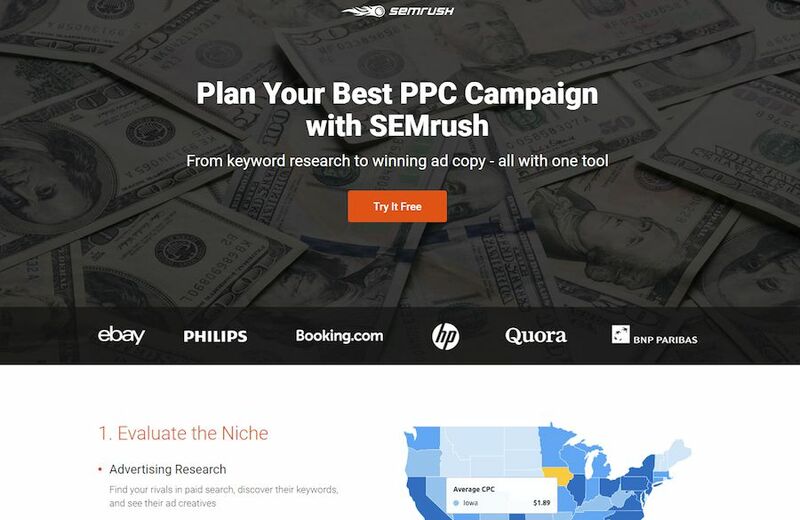 Once I clicked on that banner ad, I was taken directly to a SEMrush landing page, offering to help me plan my best PPC campaign with SEMrush. If you choose to retarget for conversions, you will want to take an interest in your click-through rates. 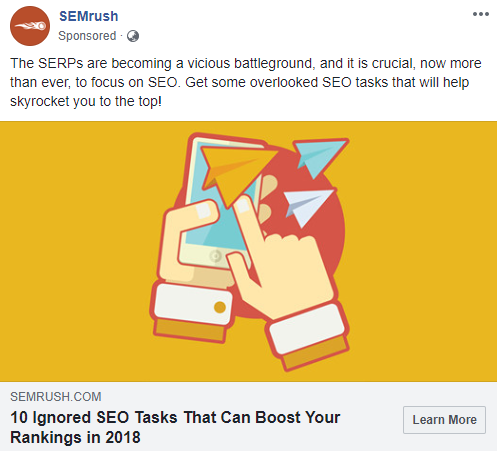 For instance, in the SEMrush example above, they will be most interested in the click-through rate on the banner ads that they retargeted me with, and then also on the click-through rate on the landing page to which they sent me. The cost-per-lead and cost-per-conversion will also be highly significant. By far the most significant place you can retarget your ads is on Google Ads (formerly Google AdWords). Depending on the options, you choose you can advertise on Google, YouTube, or Gmail. You can advertise on Google Ads across more than 2 million websites and apps that reach more than 90% of all internet users. Alternatively, you could retarget your ads on one of the social platforms. The best known is the Facebook Audience Network, which allows you to advertise your selection of Facebook, Instagram, Messenger, and WhatsApp. Twitter and LinkedIn also enable you to create retargeting ads on their networks. For past purchasers – an ad featuring related products you have on sale. Third-Party Platforms – you could use a specialist tool to help you with your retargeting. That way you only need to set up one tool to use with multiple advertising networks. Example third-party tools include AdRoll, Perfect Audience, and ReTargeter. 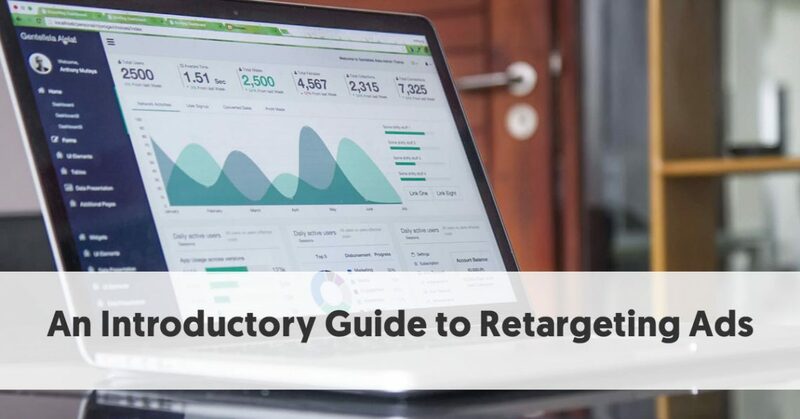 The following sections assume you are using the self-serve method to create your retargeting ads, and that you use a Pixel, rather than use your existing lists. If you prefer a third-party platform, follow the instructions specific to the particular tool. 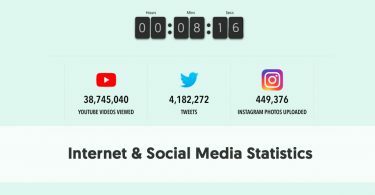 Using an existing list will also be similar, except you need to upload your list to connect your audience, rather than worrying about a tracking pixel. 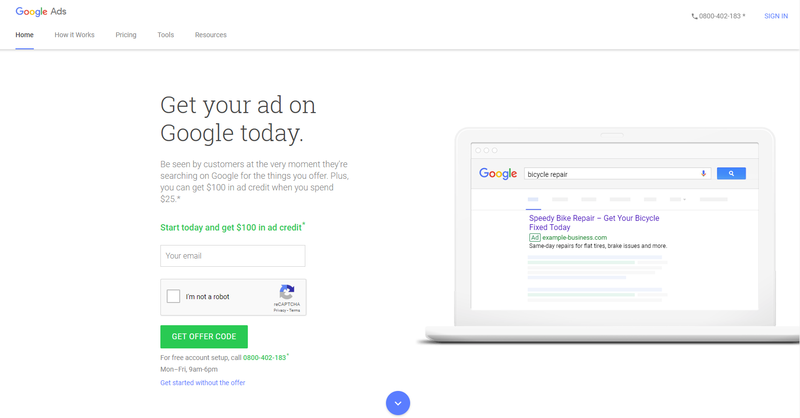 If you haven’t already done so, you will need to set up an account on Google Ads. Remember Google Ads used to be called Google AdWords, so if you come across that term anywhere, the terms are interchangeable. Once you are ready to set up a retargeting campaign, launch your Google Ads account. 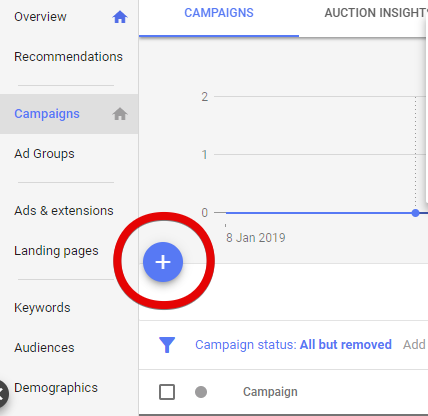 If you have previously used Google AdWords, you will notice that there are quite a few changes to the Google Ads layout. Also, note that Google consistently calls retargeting remarketing. Treat the two terms as synonyms within Google. Standard remarketing: Show ads to your past visitors as they browse sites and apps on the Google Display Network. Dynamic remarketing: Boost your results with dynamic remarketing, with ads that include products or services that people viewed on your website or app. Video remarketing: Show ads to people who've interacted with your videos or your YouTube channel as they use YouTube and browse Display Network videos, websites, and apps. Customer list remarketing: With Customer Match, you can upload lists of contact information that your customers have given you. When these people sign in to Google, you can show them ads across different Google products. On the page that opens, start by entering a descriptive remarketing list name. 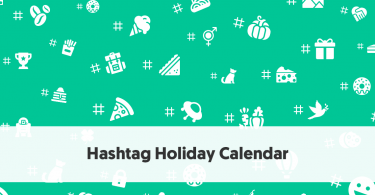 Note that you must have a tag or event snippet set up for this to work. Choose a template from the "List members" drop-down menu. Select a set of rules from the “Visited pages” drop-down menus. For each menu, add the conditions for web pages on your site where you'd like to collect visitor cookies. 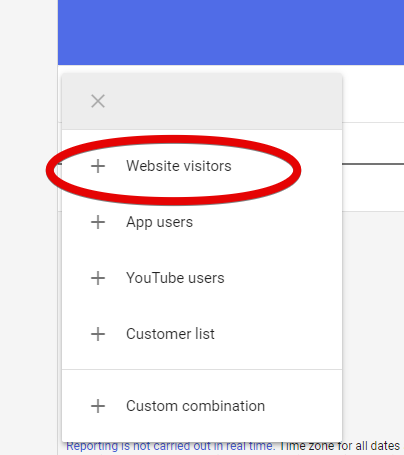 Enter an initial list size, which is the number of visitors during a set period. Enter a membership duration, which is how long you want a visitor to stay on your list. Enter an optional description of your audience. Click Campaigns from the page menu. Click the plus button to create a new campaign. In the “Goals” section, choose the desired result of your campaign. This will depend on whether you are retargeting for awareness or retargeting for conversions. Select the goals that best match the objectives you decided upon earlier. From the “Campaign type” section, select Display Network. 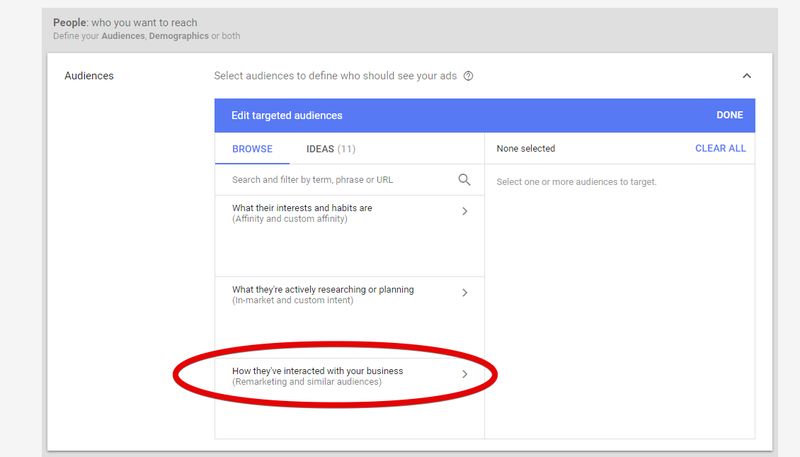 If you prefer to use remarketing lists for search ads, choose 'Search Network' as your campaign type when you create your campaign. 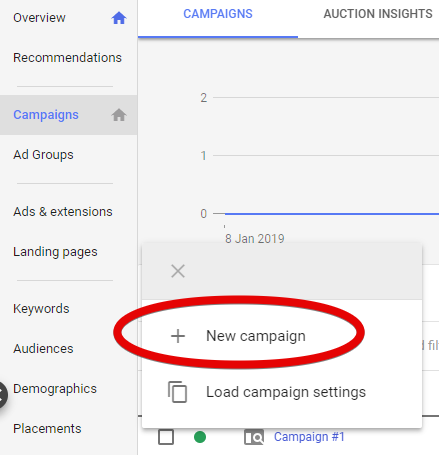 Note: Google offers different campaign types, depending on the goal you select. In some cases, they may also ask you to choose campaign subtypes. 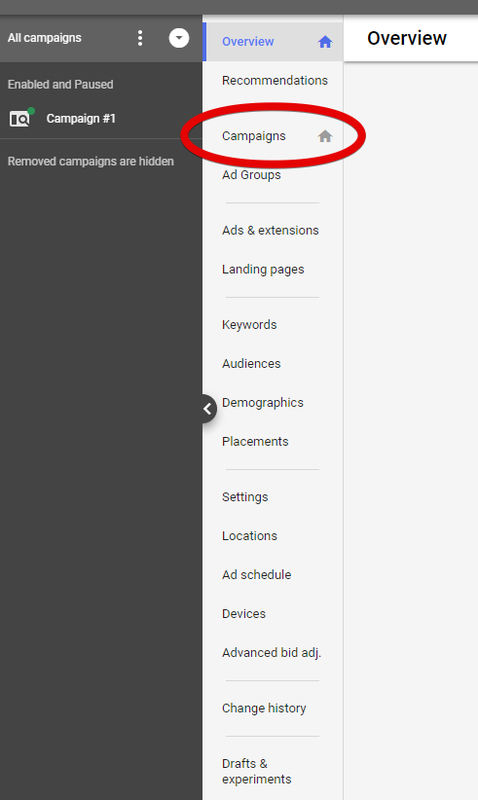 Click Additional settings for more options, like ad scheduling or device targeting. Next, look for “Audiences” in the “People” section. Click the checkbox next to the audiences that you'd like to add. This will add them to your targeting. Make any other campaign adjustments you feel necessary. Optionally, create your ad in this screen, or skip and create it later. The other common way to retarget people is on social media. All of the major social networks are set up for retargeting. 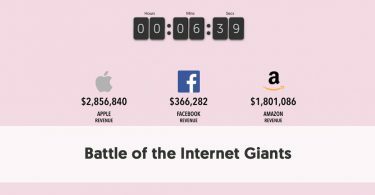 By far the largest, however, is Facebook. 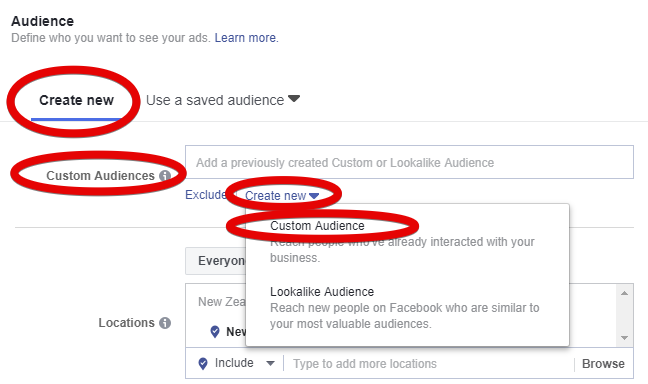 If you already run ad campaigns on the Facebook network, you should have no difficulty setting up retargeting. 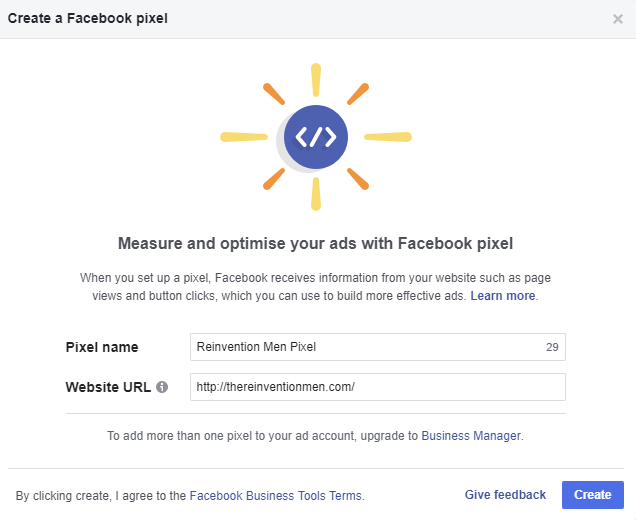 The key to successful retargeting on Facebook is setting up the Facebook Pixel. You might wish to create dynamic ads, which allow you to remind people about individual products that they've browsed on your website or in your mobile app but didn't purchase. If you haven’t already done so, you will need to set up a Facebook Business account and a Facebook Ad account. In Business Manager, set up your account to permit you to run dynamic ads. 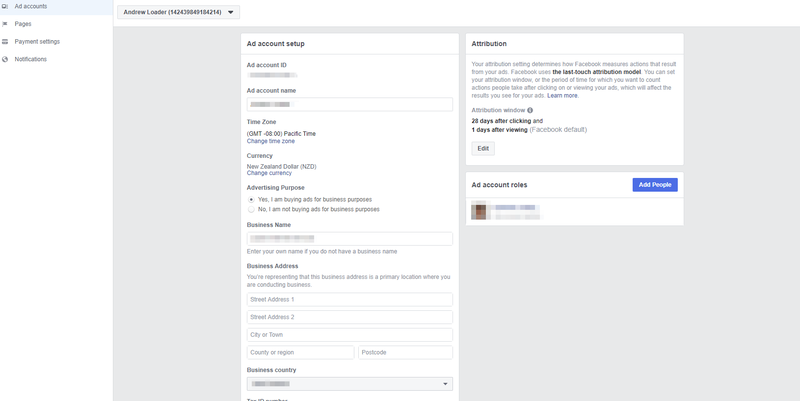 If you want to show your products in your dynamic Facebook ad, you will need first to set up a catalog. This contains your product information, a data feed containing image URLs, descriptions, prices, availability and other attributes for all of the products that you want to advertise, and a product set – the group of items from your inventory you’ve included in your catalog. Facebook provides detailed instructions on how to set up your catalog for dynamic ads for products. Go to your Pixels tab in Events Manager in your Facebook Ads account. Give your Pixel a name, enter your website’s URL, and press Create. Facebook will create some code for you to place on your website. It suggests you either use a partner account to set up the pixel (for example WordPress or Google Tag Manager). Alternatively, you will have to set the code up manually by entering the code directly onto your website. Follow the instructions Facebook provided for the method of your choice. If you operate a WordPress site, the easiest way is to download the provided Facebook plug-in and then install it in the plug-ins section of the backend of your website. Remember to activate your plugin. Verify that your Facebook plug-in works. Consider downloading the Chrome extension Pixel Helper to ensure that your events are working correctly on a long-term basis. From your Facebook profile/page select Create Ad. This takes you to Ads Manager. Start creating your ad, as you would any Facebook ad, beginning with selecting your Marketing Objective – the same as the retargeting objective you set earlier. 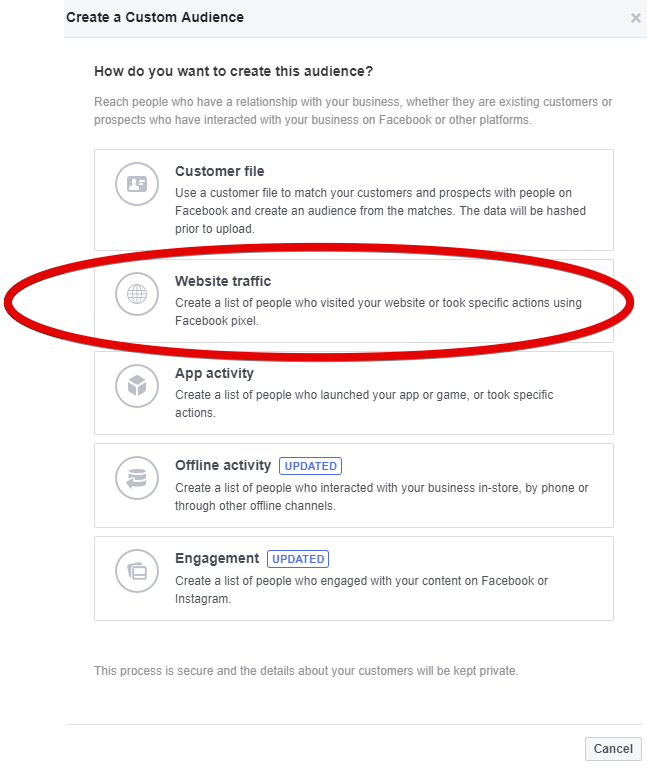 When you select your audience, you will want to choose “Use info from your pixel or app to create a retargeting audience.” To do this, select Custom Audience. 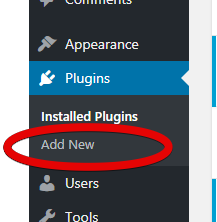 If this is a new audience, click on Create New, and select Custom Audience. Viewed or added to the basket but not purchased: Promote products from your catalog to people who viewed or added those products to their basket. Added to the basket but not purchased: Promote products from your catalog to people who added those products their basket. Upsell products: Upsell products from your catalog to people who viewed products from your product set. Cross-sell products: Cross-sell products from your catalog to people who viewed products from your product set. Custom combination: Promote products from your catalog to a Custom Audience based on how people interacted with your products. Enter the number of days where the action occurred for your retargeting option. When you retarget people with dynamic ads, people will automatically see the products (or similar products) that they saw on your website or in your app, as a Sponsored ad in their Facebook feed. Continue to select ad options, including Identity (your Facebook and/or Instagram page), Format, and Text. When you are happy with your ad, publish it, and your retargeted Facebook ad should be ready to go. When you create your retargeted ad, you create a custom audience. You will gain the best results if you take the time to further refine and segment your audience. For instance, you might choose to only retarget people who have visited your site from a particular country, e.g., the USA. If you don’t sell to certain countries, there is little point in advertising there. You could consider segmenting by behavior. People who spent time looking at a range of pages on your site will clearly have far more interest in your product than somebody who was merely on your site for a few seconds before bouncing away. Another consideration (particularly when retargeting on Google) is the time since the person was on your website. Google Ads allows you to set a time limit for you to continue retargeting somebody. A typical figure would be 60 to 90 days. There will come a point when your ads have appeared so frequently that they will be invisible to the visitor. Another audience segment worth targeting could be your existing customers. You would run occasional awareness campaigns with them, keeping you in their minds, and keeping them up to date with any of your business news. You need to keep a close look at your campaigns, determining which ads perform and which fall flat. You can A/B test ads, one change at a time, to try to improve your results. Relevant eye-pleasing graphics – no more than 20% of a Facebook graphic can be text. A customized landing page on your website that matches the Call to Action in your ad – your landing page also needs a compelling heading, eye-catching graphics, and a clear Call-to-Action. You can use retargeting to upsell and cross-sell to people who have already bought your products. Upselling means creating a promotion encouraging them to buy something better and more expensive than their previous purchases. Cross-selling invites customers to purchase related or complementary items. You can use retargeting to create both upsell and cross-sell ads for your existing client base. Amazon is the master of this – once you have made your first visit to an Amazon website, you will continually see ads from them trying to sell you products that either complement or improve upon the product you initially purchased.